Meet Miss Misty Blue. She is anything but blue. She is a happy, mellow gal. Misty is a tabico, which means tabby and calico mixed. She has beautiful, silky soft, striping with splashes of orange and golden fur mixed in with her stripes. Misty is a lover, lap kitty, and will follow you around like a puppy. She loves her human caretakers. 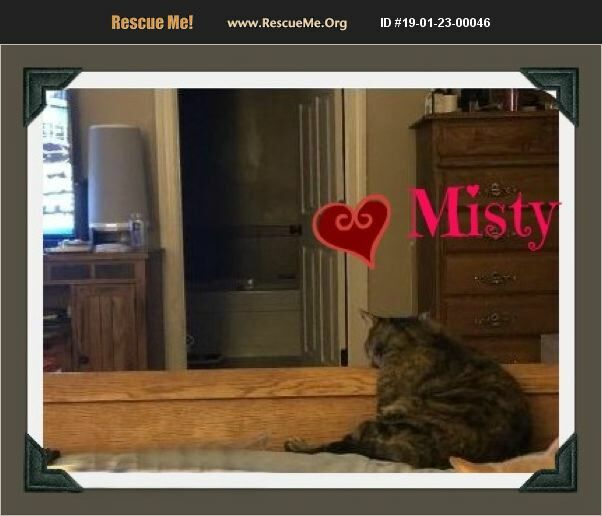 Misty has been with kids of all ages, and 3 large dogs, as well as other kitties. Misty will love to snooze in bed with you, move over, time to share that bed. Misty has been fully vetted. She has her rabies and FVRCP vaccinations, as well as combo tested, and is negative for FIV and FeLV. Ohhh, and of course microchipped. She loves cat towers to view her household and the feather on a pole. She enjoys interactive toys with balls that can be manipulated, no worries trying to figure out what we mean....we will send you pictures of her favorite toys. Temptations cat treats are a must. We offer a 2 week trial adoption to make sure you are bonding with our little gal. Please request an adoption application and once reviewed we will set up a date with Misty. We do not want you to keep our Misty unless you love her. She won't disappoint you, nothing but love. We have several kitties always in process. If you are looking for a specific type of kitty, let us know. Thank you for viewing our Snow Camp rescue kitties! We look forward to speaking with you and helping you get your next fur baby!